Airlock activity is not your best indicator on the fermentation process so don’t use that as your only tool for fermentation. Instead use your hydrometer to monitor fermentation. Hook up a garden hose to your wort chiller before you place it into the boiling kettle. This reduces steam from coming in contact with your skin and avoids any unclean water getting into your kettle. If you wish to improve on your brew over time try to use the same recipe over and over again making very simple changes from batch to batch. Again this is where good record keeping helps. Take copious notes as you brew each batch so you document what you have done differently. As you learn more substitute one ingredient at a time, such as hops or yeast, to notice subtle differences and document them. Of course there are many more things you have to think of when brewing the perfect beer but these are some of the essentials to get you more focused on your process. We wish to thank the master brewers from our local breweries who provided great advice and suggestions. Petaluma is host to the first annual Home Brewer’s Competition on May 23rd from 11am and 4pm at the Veterans Memorial Building (1094 Petaluma Blvd S.). 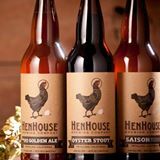 The entry fee is only $25 and you can enter online by going to the Petaluma Downtown Association’s Brewer’s Application Page or download and complete the Sonoma County Home Brewers Competition Entry Form and Rules & Guidelines and email it to [email protected]. If you have any questions you can also call them at (707) 780-2939 or go to their FAQ page. 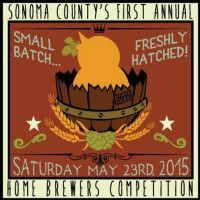 IMPORTANT STUFF: Deadline to enter as a home brewer is 4/13/15. Each home brewer is allowed 2 entries, but you must submit a seperate form and payment for each entry. Participants will be mailed space confirmations & instructions by 4/20. The top 10 brews will be submitted to a panel of guest judges who will crown a winner, The winner will be given the opportunity to brew their winning recipe at 101 North Brewing Company with brewmaster Joel Johnson and have it distributed across Sonoma County! You just want to be a spectator – perfect. Come enjoy beer tasting from these new upcoming brewmasters and enjoy great food from the food trucks. You can purchase tickets at Brown Paper Tickets and the cost is only $25 and you will get a commemorative glass and 20 tastings. Only $10 for designated drivers. Previous Previous post: What’s Going On In #Petaluma This Week?